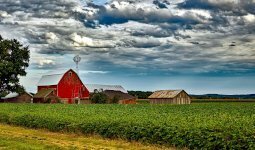 Farm insurance designed to protect your home, your business, and your livelihood. Contact us or request a quote comparison to get started. Home and outbuildings: Covers your home, shed, and/or barns in the event of windstorms, hail, lightning, fires, and more. Farm Equipment: Equipment used for farming, such as tractors, can be covered. Farm liability protection: Protects you from third party damage or medical claims. Livestock: Covers livestock if they are killed by covered accident, injury, or disease. Disruption of Farming Operations: Covers extra expenses and lost income caused by a covered loss. Additional Coverage: There are several additional coverage types available. Each farm operation is different and requires personal attention. We’ll work with you to determine your needs.